Planning permission has been granted by Highland Council to build a ‘single estate’ Scotch whisky distillery at Dunrobin Castle in Sutherland. Dunrobin Highland distillery will occupy the 700-year-old castle’s former powerhouse, while the site’s listed farm steadings will be renovated into bonded warehouses. It will produce a single malt whisky plus two styles of gin – one made using sourced neutral grain spirit, and another made using spirit distilled on-site. A portion of barley will be sourced from the estate’s own farms, while gin botanicals will be grown in the castle gardens. Water will be drawn from the Cagar Foesaig mountain spring, which is located on the estate. The distillery, which will initially produce 95,000 litres of spirit a year from its two copper pot stills – eventually growing to 300,000 litres – is expected to become operational in June 2018. The project is headed by husband and wife team Boban Costin and Elizabeth Sutherland – granddaughter of the Countess of Sutherland and head of Clan Sutherland – with guidance from former Chivas Brothers director, Douglas Cruickshank. The Sutherland family is credited with building the original Clynelish distillery in the town of Brora in 1819. It was later sold to Distillers Company Ltd and renamed Brora, its whisky becoming a cult buy among enthusiasts. However Costin, a former lawyer, claims the whisky produced at Dunrobin will not emulate that of his wife’s ancestors. Although neither have a background in the whisky industry, the opportunity to convert Dunrobin Castle’s unused buildings into a distillery was ‘too good to pass up’. Sutherland, who currently works as a GP in Dornoch, added: ‘Our goals for the distillery are very ambitious but our family motto is Sans Peur (without fear), and we are approaching this project in that manner. ‘With respect for my family and the local community’s rich history and tradition, we aim to produce a premium craft, single-estate single malt whisky and gin in the Highland way. 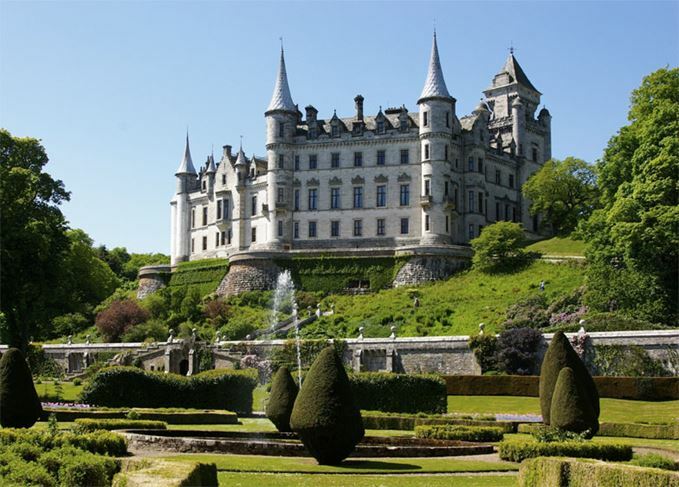 Dunrobin Castle, which was first built in the 15th century but refurbished almost completely in the mid-1800s, currently attracts around 85,000 visitors each year. Funding round looks to raise £5.5m to build whisky and gin distillery in castle grounds. The distillery’s stillhouse will be entirely dismantled and rebuilt under the plans. To many whisky lovers, a silent distillery is a lost treasure. But is that the whole story?